If you are new to the complex world of numerology readings, it can seem quite intimidating at first glance. There is a lot to know and a lot of questions to be answered. 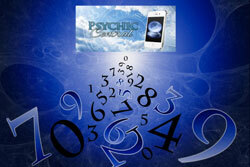 There are several things you should know before going to your first numerology reading. Numerology, simply put, is a way to more deeply understand yourself, your mind, your body, and how you interact with the world around you by boiling your life down to a series of important numbers. The basic idea is that, by using the date and time of your birth, a trained expert can create an incredibly detailed numerology profile for you. Through this very important profile, you can learn many things. Numerology can help you determine what occupations and areas of study you will find most rewarding, and what careers you have a natural aptitude for. Numerology can also help you to analyze and pursue relationships that are positive in your life. By comparing your profile with your romantic partner’s, you can see where you are compatible, and where the roadblocks in your relationship might lie. You can also use numerology in your friendships, business relationships, and other interpersonal relationships in your life. The first number you should know about is your destiny number. Your destiny number tells you a lot about your inner life. It tells you about your purpose and what you should pursue, not just in your career but in your personal life. A deep and complete understanding of your destiny number can help usher you down the path to total happiness and contentment in your life. The second important number you will be getting during your numerology reading is your directional number. A directional number is determined by pinpointing the exact time of your birth, so you should be sure to research this information before going to your reading, as you can be sure you will be asked for it. The precise time of your birth is given a digit which corresponds strongly to how you approach your life and go about achieving your destiny. It is more about your personality and personal preferences than your ultimate purpose. Numerology, in many ways, is based around the number nine. Every chart is broken down into nine month and nine year segments, called cycles. By analyzing these cycles, an experienced numerologist can help you determine the right time to make personal moves or professional moves in your life. You want to be sure the cycles are in harmony before pursuing these things. The most important thing to remember before participating in a numerology reading is that you should only go to a trusted and experienced expert. Do your research first, find out their background and qualifications, and speak to people who have gone to them before to verify their credentials. Take the time to do all of this, and you can be sure that your reading will be accurate, insightful, and meaningful for you and your life. To get get a live Numerology reading CLICK HERE to checkout our Psychic Central readers who specialize in Numerology Readings.